AZURIA - Take $1,500 off a 7-night charter that takes place between now and December 10, 2018. 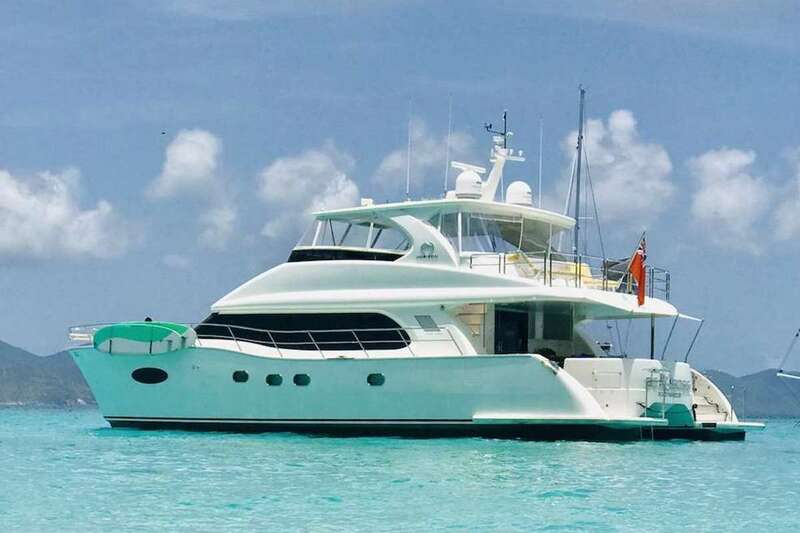 The longtime veteran crew, Mark, and Sally Duncan, from the popular Viking Dream, are at the helm of this lovely 50' Lagoon catamaran with three queen cabins and all new toys. That brings the rate down to $20,000 for six guests. Hurry... this won't last. BAGHEERA -Over $3,000 off per week. 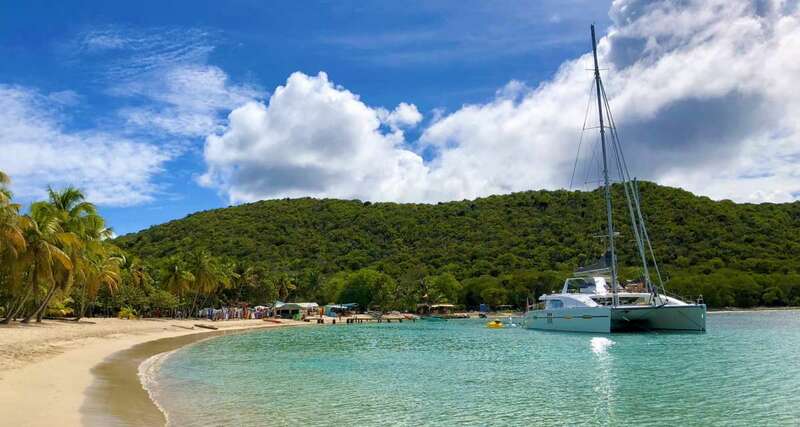 That's right, book any 7 night charter between June 15 and August 24, 2018, in the Grenadines and save 10%. Brand new Lagoon 62' catamaran with talented and fun-loving Alex and Carla (from Avalon). Special rates are $30,150/8 guests and $29,250/6 guests. LUAR - Save $2500 plus a free sleepaboard. 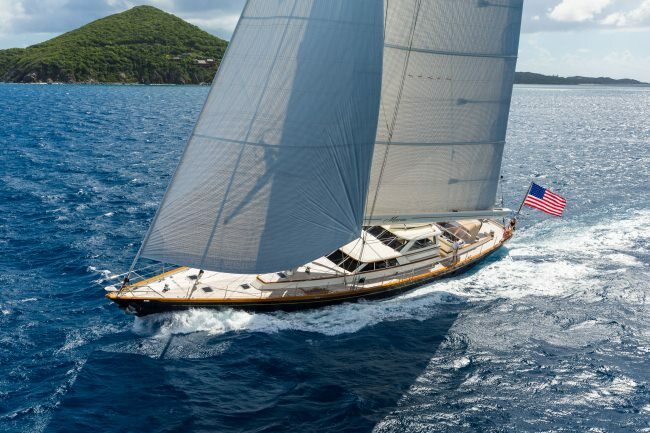 One of our TOP Ten BVI Charter Crews - many will remember Rich and Lisa from Priorities, Zingara and Sabore. They have just taken the helm of this lovely 62' Privilege with three king cabins. Rich is a professional chef, having owned his own Italian restaurant in Providence, RI's trendy foodie district. $22,500 (with discount) until 8/12/18 in the Virgins. Plus fly in the day before, board after 4 pm, enjoy a welcome cocktail. eat dinner ashore, and have a continental breakfast aboard the next morning - that's like getting another half day for free. 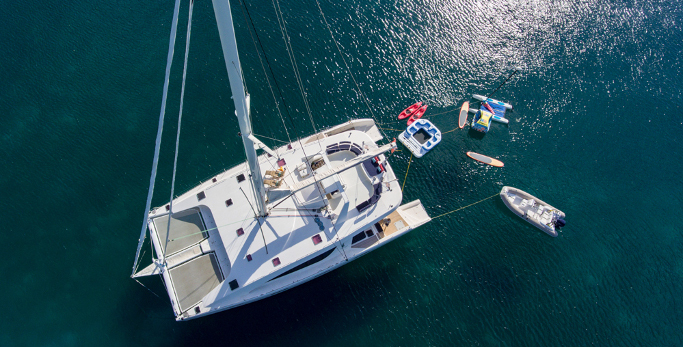 ZINGARA - $2,000 off weekly rate in the Grenadines from July 2 - September 15, 2018. 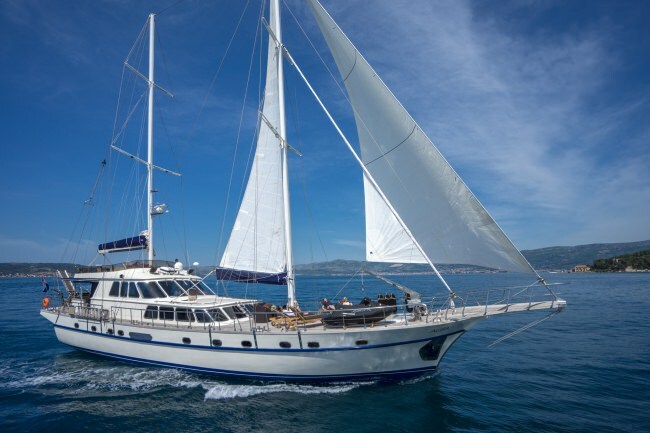 Zingara is fondly known as the queen of the catamaran fleet - one of the first cats to debut in the 75-foot range. Also, one of the few cats to have an on-deck master cabin with panoramic views right from your bed. Chef Tyler is among the best - an artisan baker and owner of his own bakery on Tortola. He sources the freshest and best ingredients. 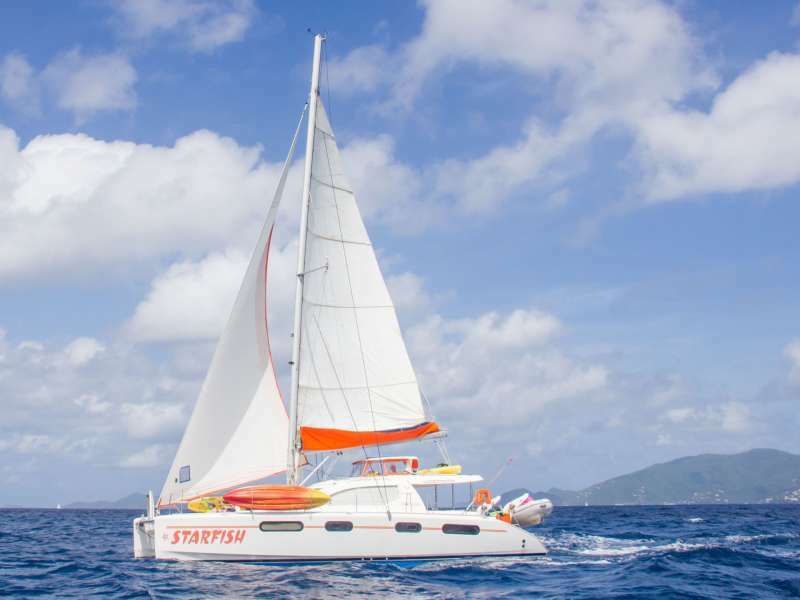 The Caribbean catamaran charter special rate is $45,100/10 guests and $41,980/8 guests. ADASTRA - $4,000 permanent rate reduction - now only $13,500 for six and $15,500 for eight. The crew on this 57' cat loves having families aboard and has toys to keep the whole family entertained - skis (kids and adults), fishing gear, wakeskate, paddle boards, scuba for certified divers, and a giant lounger float. STOP WORK ORDER: Brand new Lagoon 52 that sleeps eight in 4 queens - bunk cabin avail upon request. An armada of toys including scuba, paddle boards, skis, kayaks, fishing gear, wake board, and snorkel gear. Come on down and have some fun! Special rate is $22,500/8 guests; $21,150/6 guests. PLAYTIME : What a talented team - they both cook (incredibly well, we must say), they are both scuba instructors, and they both smile non-stop. 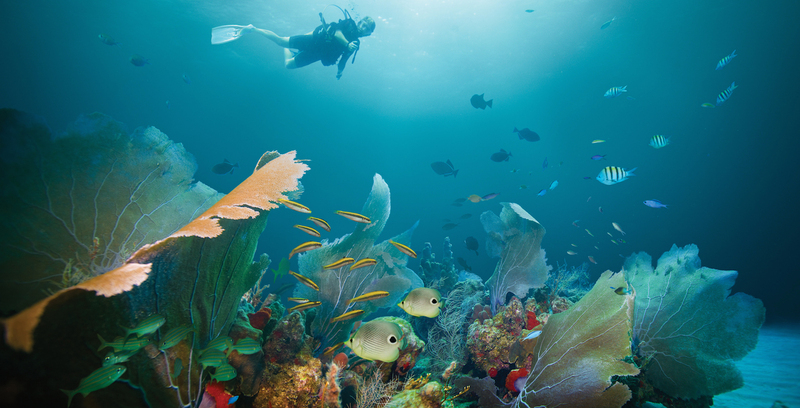 Their high fun quotient and passion about all things in the water making them a great choice for a family charter. Playtime's three queens and bunk cabin twins are ideal for a party of 8. The rate with the discount is $25,200/8 guests and $23,850/6 guests. Still available for Thanksgiving. Scuba available. 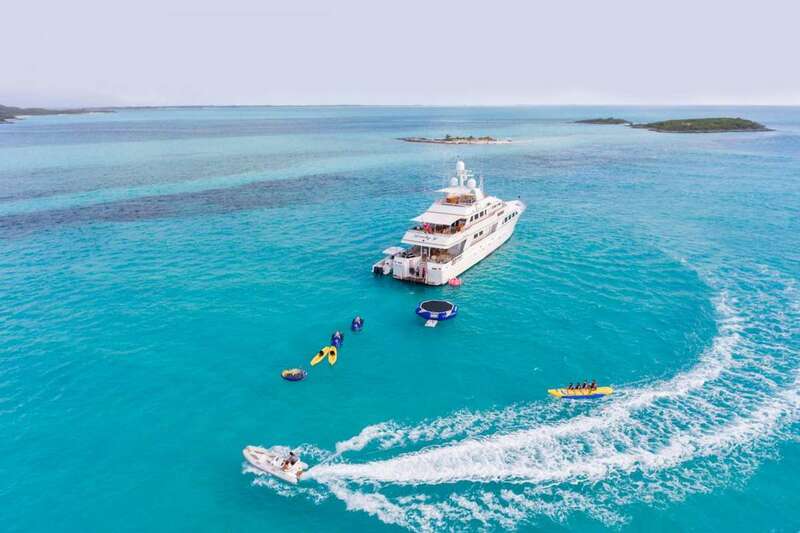 ISLAND HOPPIN' : A sister ship to Stop Work Order and even newer with all of the same amenities plus an extraordinary young crew with all the right credentials including professional culinary training; $22,950/8 guests; $21,600/6 guests. Still available for Thanksgiving. Scuba available. ANASTASIA : 62' "like new" cat with flybridge and a boatload of toys including scuba. $25,200/6 guests with discount; must book by March 31, 2018, for any dates in 2018 except Christmas and New Years. Still available for Thanksgiving. 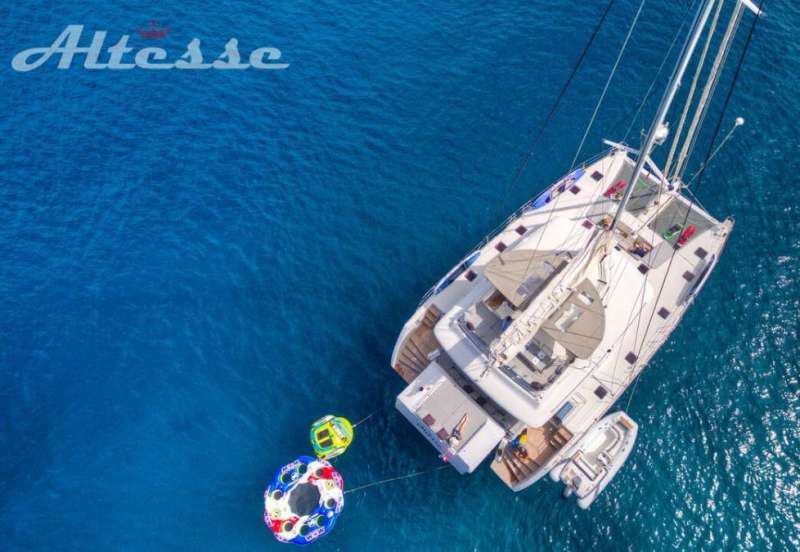 FUERTE 3 67 ' Cat - $1,000 off weekly rate on charters that take place by July 15, 2018. Sleeps 6 Guests in 3 Queens. $19,500/6 guests with discount in the Virgins. 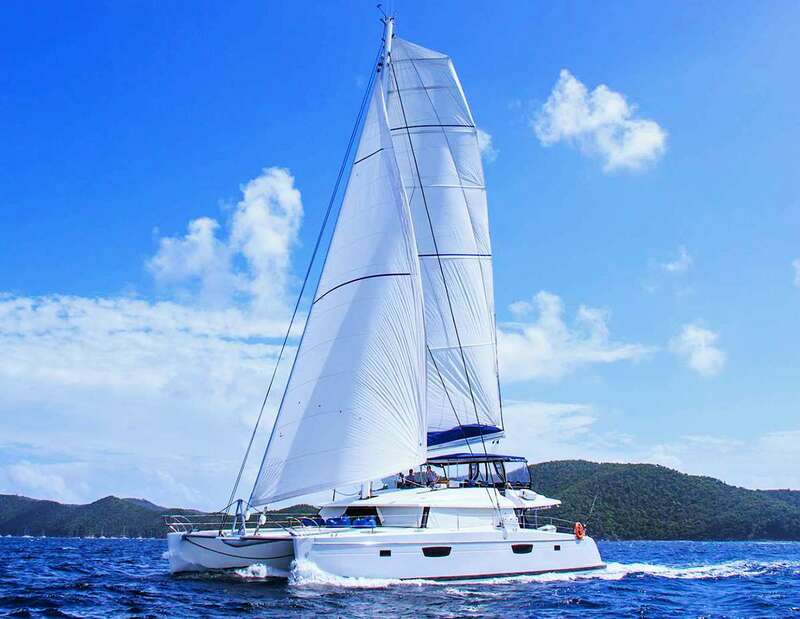 SPLIT SECOND : Our favorite catamaran design - the Lagoon 62' (like Serenity Now and Bagheera above) - $31,500 with discount in the Grenadines for July and August. Stop press - just in today - these six cats offering $1000 off their weekly rate for the rest of 2018 (Christmas and New Year's excluded). Click on the yacht name for the rates page. 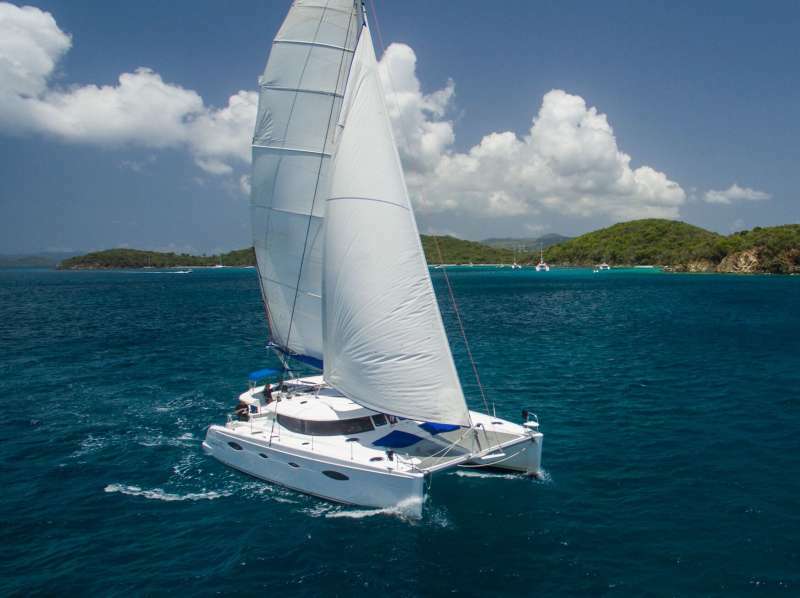 We continue to add Caribbean catamaran charter specials each week - call us at 239-896-7278. We'll give you the latest. Search our yacht charter database for the perfect charter yacht for you.